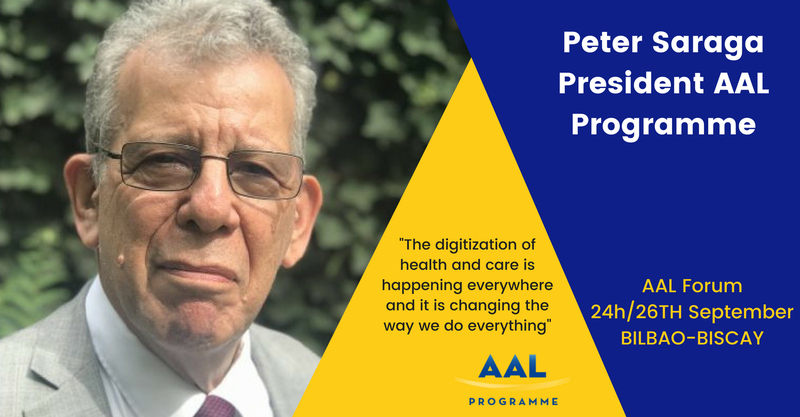 For any AAL Forum regular, Peter Saraga will be a familiar figure, seen every year enthusiastically parading the exhibition floor, speaking at workshops and taking part in plenary debates covering all aspects of active and healthy ageing. Of course, he will be at the forum again in Bilbao in September, but this year will be his first as the President of AAL, a position that gives him the chance to set out a clear vision for the programme as it enters the last two years of its current funding cycle and looks confidently into the future. Saraga, who spent much of his working life involved in the development of technological innovation with Philips, believes he is taking over the AAL reigns at a time when things are looking “very exciting and interesting”. But Saraga is also keen for there to be a subtle shift in how the success of AAL is measured, away from purely on the number of products it gets to the market – “it is so much more than that”. “There is a great deal of work going on addressing ageing – the science of ageing, disease and every other aspect of living for longer. I want to show that our contribution to all this in what we do has been and will continue to be significant. Of course, one of the most important ways AAL brings people together is at its annual forum – and Saraga is looking forward to a very productive few days of discussion, planning and building important collaborative networks in Bilbao. “And that is the issue – what is the future of ageing well in the digital world?,” he asks. “The digitization of health and care is happening everywhere and it is changing the way we do everything. Some people will find this difficult, but it offers us all many social, economic and health-related opportunities. Register to the AAL Forum here!